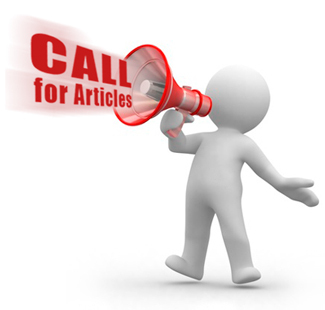 Recent improvements make NOW the perfect time to submit your articles! There’s an old adage around this part of the world that says, “Ya gotta make hay while the sun shines.” Essentially, it means that you need to take advantage of an opportunity before that opportunity slips away. Boy, do we have an opportunity for you! For many months, EzineArticles has been working hard to increase our editorial capacity and streamline our processes in an effort to reduce our article review times to less than 24 business hours. We’re happy to report that our efforts have finally paid off and we are enjoying the luxury of unusually fast review times. If you’ve been hesitant to submit a large number of articles because of longer-than-usual review times, now is the time to act. With shorter review times come increased article submissions, so in the next few days we expect submissions to increase to fill our new-found capacity and this window of opportunity may begin to close. Bottom Line: Make hay while the sun shines. We look forward to seeing your next set of high-quality original articles! I have several articles to submit, but I am on hold because I think I have to use html and simply do not know where to start. Any short cuts? Please? Simple, but useful tips. EzineArticles has improved by leaps and bounds in recent times. I have noticed the quick turn around time. Good job!! Hi, I would LOVE to submit more articles and I have been testing the site for a week or so, to get myself acquainted with requirements etc. Much to my total dismay today, you accuse me of copying someone else’s work when I have never and would never consider doing such a thing. A more personal, fast approach to dealing with such an issue would be helpful because I want a positive relationship with EzineArticles and I am sure that I can achieve such if you can help me overcome what you consider to be a breach of your editorial terms. I have re-read what I wrote and the article you accuse me of copying – and I fail to see what you are refering to . I have never seen the article that you referred to, before submitting my article. I do accept that there is a commonality of principle and this may be what you are referring to. Looking forward to a positive, rapid resolution so I can submit more articles. We did address this with you privately, please check your email. If you have further questions, we can address them there. Fantastic! Just wondering when photos might be a part of the process. Photos or illustrations in articles, possibly never. While photos might boost a more positive user experience and build increased credibility for both of us; it has proven to significantly drop resource box CTR. Yes, we tested it. For today, this is not a tradeoff we’re ready to make. Thats great! I will be submitting my next batch in next 2 days, and was wondering how soon those could go live. Got this good news just now! Being the new writer on the block with EzineArticles, getting my first article published, this is very exciting, with faster turn around times. Going one step further, being quick and all; Submitted one day, and within 2-3 days article was on 1st. page with Google! Now, I don’t know about anyone else, but have not seen any of my blog articles ever getting there that quick. Must have something to do with EzineArticles’ name recognition, I’m not sure. Therefore, I can easily see how this can benefit me and others. that is great work. I am new to this and I have noticed my articles are not taking no time at all to get published. Yeah, think you so much for your upgrades. We all love instant gradification these days. Great job team, I like to see articles online soon after writing because that’s when the passion is high. I was recently advised by another article directory that they had approved an article that I sent to them about 6 months ago – what a waste of time – who wants to know about it six months after the fact? You guys are ABSOLUTELY AWESOME. I’ve sent in about 75 new articles in the last couple of weeks, and you’re turning them around right away. Getting lots of new ezine signups and website hits since I started. Hey, folks, for article submissions, this is the PLACE!!! Time to get started submitting even more! Thanks for the update. A great service made even better.Well done Chris and all the team. I am happy to send you more articles. I have so much to write about. Seven sites keeps me busy but submitting articles to EzineArticles keeps traffic moving through the sites. Thanks EzineArticles for being such a wonder place to build my business. I will back very soon man and will see my article online. You all are really on the ball! Now, when your authors get time to comply with your request, that will be a win-win for all of us! Yee-haw! Off to make hay while the sun still shines! Thanks guys- Great improvement and good timing! Great information. It is definitely more motivating and inspiring. I recently launched my new website and started publishing articles as my main marketing thrust. The last article I published was approved in less than 48 hours and I was impressed. Now I can expect to see my articles online in 24 hrs??? I think you Guys are fantastic. Article marketing is the absolute quickest way to promote a new website. And getting an article on page one of Google in a few days is amazing. I hate the waiting time for my articles to publish. This is definitely great news to me and to all authors of EzineArticles. Thanks for the great job done. 3 cheers to your team. Great job! My articles have been for one site so far. This is the push I needed to add articles for other websites of mine. That’s great news. The approval times have been an issue of concern. But I’ve noticed that approvals are noticeably faster than before – usually within 24 hrs. Thanks! OK, OK – I’ll do it. I’m on notice. Yea… well, I submitted an article on Jan. 12th. After days passed, then I was sent corrections to make… which I made immediately. Then I waited days, and was send changes to make… which I made immediately. The article was approved just today, January 20th. I have written several articles for EzineArticles only to be rejected with comments that I can’t understand. It would be nice if someone took the time to explain to people like me (who is not a wizard in computer language and lives in a different country) the reasons for the rejection in simple words, so I can make adjustments. You’ll be glad to know that we understand the challenges that you and other international authors face. For that reason, our Editorial Team is currently revamping the letters we send that explain specific article problems. We hope the revised wording will help clarify the errors and give direction on the changes that are necessary. Improving on an already outstanding service. No wonder this continues to be the best article site in the world. I look forward to submitting several articles this month. This is most appreciable effort. I really got motivated to start writing articles again. I have noticed the fast turn around time as well!!! Kudo’s to EzineArticles for their outstanding commitment to improving service. It is a rare circumstance when a free service can actually BOOST an individuals Level of Expertise, Generate huge website traffic, and overall increase the chances of success in whatever endeavor an individual is striving for. This is the plain and simple reason that EzineArticles.com is considered the Grand daddy of all Article Publishers. I’m glad to be a tiny piece of it. Good Show ~ EzineArticles. I am trying to do my HAHD~ not sure if I will make it I will submit as many as I can. You guys are great! I’m running a promotion at the moment, ezines for $15 ! I wondered why so many people had ordered. Great service that will definitely help us. Will get right on to it. Great Job…I become so lazy and by reading this article again I am motivated to write articles. Wow. That’s great news! Kudos to you great people. Now, no need to wait for days just to see my articles published. Wrote my article – went to bed. Presto my article was published in the morning – what a great day! Thanks for speeding things up here – thanks for everything. Very happy to hear the news. I’ve personally always found this site to be very punctual. Not to be a nitpicker, but I see a lot of articles published on EzineArticles that contain grammar, punctuation and spelling errors and not just through the confusion of the American English, British English and Australian English. I’d like to see a higher quality of editing and a more polished finish to the articles that are finally presented on EzineArticles. Society is becomming far too blase about punctuation, spelling and grammar. I realise we cannot be error-free but I guess I’m old fashioned and have grown to appreciate good writing. I’d like to see it live on! Keep up the good work though. I love your site. If you take a quick look through the Blog you’ll see that we have become much more focused on the quality aspect of the articles we publish. You can plan to see our expectations continue to rise higher and higher in the coming year. As always, though, successful article marketing is a fine balance between quality AND quantity … which is not always an easy balance to maintain. That continues to be our biggest challenge. You guys rock! Thanks for your hard work. I will be submitting a few to catch up. Aloha! I`ve noticed over the past few weeks the turnaround time seems to have got quicker. That`s good. Thank for your great service – will definitely write more articles! knowledge under your golden rays. That’s good news, although I’ve noticed over the last few weeks that my articles have normally been approved within 24 hours of submission, which impressed me! Like a bottle of red wine you just keep getting better with age. I appreciate your efforts with the faster turnarounds. That’s a nice analogy Jack! The faster turnaround times are really appreciated. It’s been fun having my aritcles published so fast. It would be great to photos or illustrations become part of the process! Thanks for subscribing my articles! I have noticed the speed in the edition. This fact really inspires us! Im writing more articles, having always in mind the 100 articles challenge. I guess Im going to write more articles than what is necessary for this challenge, the way Im writing now. I really appreciate u guys. The articles I submitted have not been approved but i will take advantage of this opportunity. Hey thanks for the opportunity, great EzineArticles is the best site. This is really a great news for all the Writers. I am really happy for “EzineArticles” that they have achieved a great success in upgrading the system. Hope that they will have more successful upgrades in future. I really appreciate the effort that has been made. I have an e-commerce site and I am stuck on page two for my keyword. That does not bring a lot of traffic, being on page 2 for my niche. Most I my traffic is coming from articles and EzineArticles is doing a great job for me. I always ping and bookmark my articles to help spread them out there a little more, but EzineArticles gives me a great platform. Great! I am writing article :) EzineArticles is best one.